Android is an open source system. That means that third-party manufacturers can pretty much do whatever they want with it. An example of this is Samsung’s customized UI layer, One UI (formerly Samsung Experience and before that TouchWiz), which often finds itself the subject of heated debates - not everyone is a fan. If you want to remove the UI from your phone, we have several different solutions to help you out, whether you're the average user or an Android expert. What is TouchWiz/Greace UX/Samsung Experience? What is TouchWiz/Grace UX/Samsung Experience? All Samsung smartphones come with Samsung's unique interface, TouchWiz or Samsung Experience. Starting with the recalled Galaxy Note 7, a new interface design called Grace UX was introduced, although it has been through several name changes. With the Korean manufacturer's device update to Android Nougat, this new design was expanded. The interface has changed a bit along the way, which is what we can see on newer devices such as the Galaxy S8. The Galaxy S9 and Galaxy Note 9, on the other hand, will soon be equipped with the newest version of Samsung's user interface - One UI. 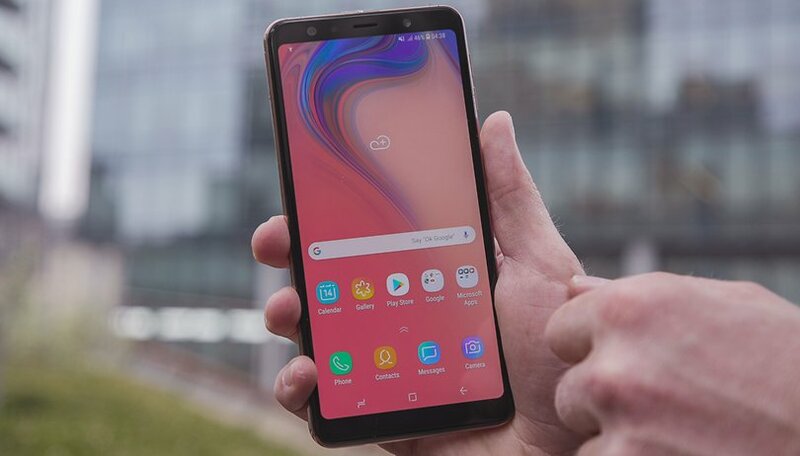 Obviously, this won’t completely erase TouchWiz/Samsung Experience from your Samsung device, but it will get rid of those annoying updates that the pre-installed apps (bloatware) constantly ask for and which continuously eat up your internal memory. We can get rid of the notifications and the apps that Samsung pre-installs. You can begin by getting rid of the shortcut and widget, but to actually stop the app, you'll need to go to Settings > Applications > Application manager, look for the offending app and select it. This is the most drastic change you can make without rooting your phone. If the icons or the high-contrast background of Touchwiz aren't to your liking, you can always modify the look to make your Android experience a bit more bearable. Head to the Google Play Store and install whichever you like most. The first time you open it, it will ask you which launcher you’d like to use. Choose the launcher you just installed and click on ‘always.' If for some reason you want to go back to TouchWiz, you can change this in Settings > Default Apps > Home screen, choose your launcher and click on the home button. If you want to completely remove Samsung's UI from your device, your only option is to flash your device with a new ROM that doesn’t have a shred of TouchWiz in it. This will void your warranty though, as the Knox counter will be set to zero. To flash your Samsung, the first thing you’ll need is Odin. Do you like TouchWiz/One UI? If not, what modifications did you do to make the UI more bearable? Let us know in the comments below! I can understand that some may not be happy with touchwiz, personally I like it. It is the main reason I buy a Samsung device. Sure in the early days it was a bit heavy, and yes I would like more control over which Samsung apps that I wish to keep on uninstall (not disable), but it's now a minor issue with increased internal storage and RAM. Certainly if I was still using my old faithful S3 then bloatware would be a concern. TouchWiz though is great, it's provided an enhanced UI and experience, I'm especially happy that with 7.0 and the latest version of touchwiz Samsung has brought back Air wake (though its now called "Easy Screen Turn On" settings - Accessibility - dexterity). This is just one of many great features (S planner / S Health / Gallery /customizable app drawer etc name just a few more). If you are buying a Smartphone but don't like TouchWiz then don't buy a Samsung, though I would highly recommend that you give it a try as it does provide a enhanced experience over Stock Android & other manufacturers UI's. Touch wiz keeps saying that it has stopped working, anybody know what to do about it, please help, thanks in advance. FYI "disable" is greyed out for me. I'm glad you like it. There were some good bits of touchwiz for the s pen when I had a Note. But the rest was terrible blaot that wanted extra useless accounts and far too much personal data. What I don't get is why but a great phone like the Sammy S series then kill it with a crap AOSP. The question is why? There are many other choices out there. Android doesn't want anything. Indeed it is deeply extensible and customizable. TouchWiz with the locked bootloader is about keeping you in Samsung's garden to try and collect data and money. If Samsung was interested in you doing things freely, the bootloader would never be locked in the first place and Knox efuses wouldn't have happened either. One thing to note about Samsung phones and installing Custom ROMS, on top end Samsungs it degrades the quality of the camera and pictures taken. Most of the work in terms of picture quality is done by Samsungs own software so if you remove that and just rely on Androids native camera the results are worse. That's why I only use Sammy custom roms. Yes, there are touchwiz ROMs or sideloading the camera app. I use a Galaxy Note 4,rooted with a custom recovery,custom kernel,and Xposed..along with Nova Launcher.I want to be able to use the S pen with all functions so the dear AOSP ROM ain't an option. BUT..the only problem I have discovered is because the ROM is 6.0.1, It's almost impossible to get Viper4Android working..apart from that..perfect device..!! It's a shame, you pay THAT amount of money for a high end device, and, most of the time you can't set it up the way YOU want without having to root, flash custom roms etc. I prefer to buy another brand, that has an almost stock Android, put in Nova Launcher and call it good. But your phone is featureless comparatively speaking. Why? Just buy a different device! I HAD NO IDEA THAT THIS THING CALLED TOUCHWIZ WOULD TAKE OVER MY PHONE LIKE THIS! SAMSUNG SHOULD BE ASHAMED AT PRODUCING SUCH A THING. TOUCHWIZ HAS COMPLETELY MESSED UP MY PHONE. I works great for most people. How exactly? Did you research b4 buying a expensive device? Every mobile manufacturer has there own UI unless you get stock Android (which is just a different version of said UI's) - though I am interested to hear how touchwiz UI has ruined your device? hey, i am building a custom rom for brazilian j1 2016 and i want to replace touchwiz(removing, instead of disabling) and put the Zeam Launcher for more RAM, is that possible?